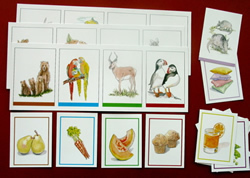 Sixteen full-color laminated cards depicting 8 types of farm animals with labels to sort into Singular or Plural categories. 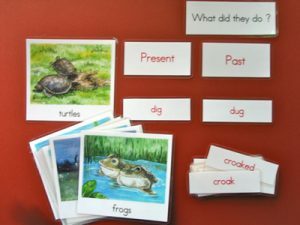 Regular and irregular plurals included. 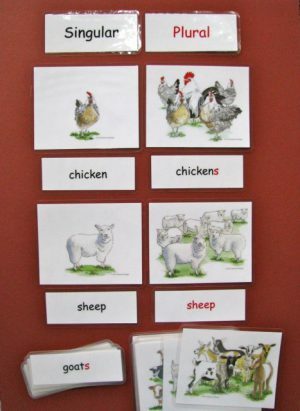 Visual challenge: Find the single animal depicted under “Singular” within the group of animals depicted under “Plural”.